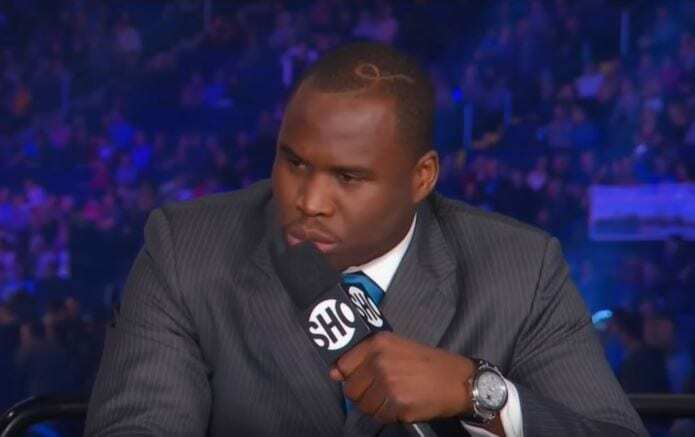 While there have been many changes in the Light Heavyweight division in recent years, one constant has been the WBC ruler, Adonis Stevenson, the 41-year old Haitian-born Canadian who has reigned since 2013. The man who has reigned since upsetting Chad Dawson in one round is concluding his toughest year since that night, ending it in arguably his toughest test. Stevenson 29-1-1(24KO’s) already survived a war to barely hold on to his crown when drawing with the ever-improving Badou Jack in May. A rematch with Jack looks likely, but only if he can beat his mandatory, unbeaten Ukrainian Oleksandr Gvozdyk. Sandwiched in between pound-for-pound stars Oleksandr Usyk and Vasyl Lomachenko making world title defences, Gvozdyk will hope to keep the winning streak going for his nation at world level, but will need to call upon all of his elite boxing skills to defeat the champion in his backyard. Gvozdyk 15-0(12KO’s) can boast being the only man to stop Isaac Chilemba, but that 2016 contest was clearly a night in which Chilemba was not himself, opting to come out the blocks fast before retiring after 8, signalling that the man who has taken the best from the likes of Sergey Kovalev and Dmitry Bivol was off colour. The Ukrainian knocked out Yunieski Gonzalez in a fire-fight, but would be wise to steer well clear of those tactics against a renowned knockout artist like Stevenson. Improvements however were shown last time out when he boxed sensibly to dominate Mehdi Amar in March. At 31, Gvozdyk looks primed to be let loose, and should Stevenson be in decline then this could be a case of perfect timing for the visitor. But in spite of its controversy, his performance against Jack – now considered one of the world’s elite – showed both guts and skills that suggest he is not quite at the end of the road yet. On a night that sees Deontay Wilder and Tyson Fury lock horns, this contest has great grounds to be considered the most intriguing fight of the night, and as the show in Canada shares the Showtime Pay-Per-View platform with Wilder-Fury signals a banner night for boxing fans to enjoy. In spite of his clear talents and power, the feeling is that Gvozdyk is a little too easy to catch clean to be the man to end Adonis’ reign. His boxing skills however could see him dominate large periods of the fight. There is a kryptonite out there somewhere to oust ‘Superman’ Stevenson, but Gvozdyk is not the one to provide it, at least not yet. Behind on the cards, Stevenson can begin to take a hold on the contest as he forces Gvozdyk back. The challenger will begin to feel the power, and while refusing to go down quietly he will lose his lead on the cards. Stevenson can drop Gvozdyk heavily late in the contest, before finishing it with the Ukrainian on his feet in the penultimate round.